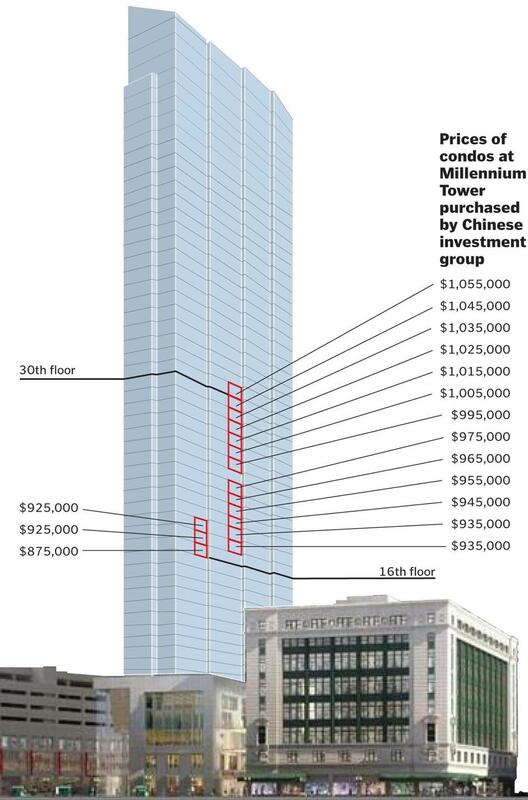 Bingyi Chen, a Chinese immigrant who lives in Concord, has bought at least 16 units at the new Millennium Tower for $15.6 million — all in cash. The 60-story tower is set to open in summer 2016 and will feature luxurious amenities and expensive condos. 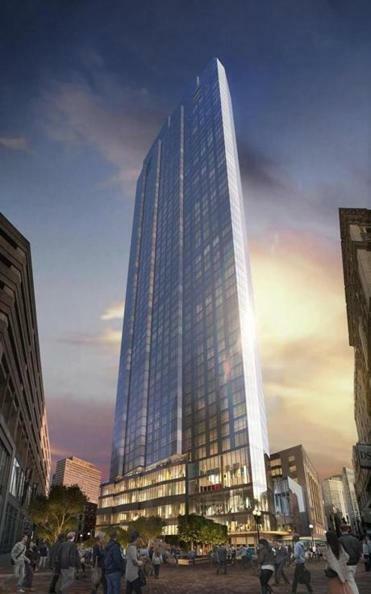 Read: Who are the owners of Boston’s new ultra-luxe condos? It’s also an example of the global housing market in action. With its crop of luxury condominium buildings sprouting out of the ground, Boston is an increasingly popular destination for international real estate investors looking to park their cash in an uncertain global economy. The city is a bit cheaper than New York or San Francisco, but boasts a stable economy, world-class universities, and a growing list of international flights. That’s creating a market for condo developers to sell their high-end units essentially around the world. Millennium Partners, which built the tower along with luxury condos in New York and San Francisco, maintains offices in several major Asian cities. For its project here, it launched a website in Mandarin. To be sure, downtown professionals and empty-nesters from the suburbs are also big buyers of luxury real estate. Richard Baumert, Millennium’s top sales executive, said three quarters of the new owners in the tower will live in their units. He would not comment on individual buyers such as Chen, but acknowledged that the company does receive offers to purchase condos in bulk. “We get a lot of inquiries. We’ll look at each one individually, sometimes it depends on the timing,” said Baumert, who expects the number of international buyers to climb as more luxury towers open in Boston. Foreign buyers spent $102.6 billion on residential properties in the United States in 2015, according to the National Association of Realtors, up more than 50 percent since 2010. And while purchases by buyers from Canada and the United Kingdom have fallen in that time, they have surged from China, nearly tripling to $27.3 billion last year, the real estate group reported in June. Specialists expect those figures to only increase as the swelling ranks of wealthy Chinese look for ways to diversify their holdings outside of China and gain a foothold here — either for themselves or for their children who are studying in the states. A study by Rosen Consulting Group, a real estate economics firm in Berkeley, Calif., predicted Chinese buyers could spend $50 billion on US homes by 2025. That intense interest, however, is forcing some luxury developers to strike a delicate balance, said Sue Hawkes, who runs The Collaborative Cos., a marketing firm that works with high-end complexes in Boston. Investors — especially those who buy in bulk — can take many units off a developer’s hands, fast. That’s cash in the bank. But they’re more likely to rent the units, or even leave them empty. Many developers prefer the stability of owner-occupants, Hawkes said, who make units more attractive for resale than if the building were full of renters. For now, she said, many developers of new condo projects here are trying to limit the number of units they sell to investors. Some buildings set a cap on investor purchases. Pierce Boston, a 30-story tower under construction near Fenway Park, will limit investors to 25 percent of the building’s 109 condos, said Leslie Cohen, chief operating officer at developer Samuels & Associates. And no bulk purchases are allowed. Cohen acknowledged that strategy could potentially slow sales, and might dampen pricing a bit — units in the Pierce start at around $1 million. But Cohen said Samuels believes a building with a lot of owner-occupants is more valuable in the long run. Baumert, the Millennium sales executive, said his company designed the luxury tower to encourage a sense of community among its owners, building an elaborate two-story club and scheduling social events. Still, Michael Krupa said local developers would be foolish to ignore the global buyers who want a piece of Boston. Krupa is president of Gemdale USA, the New York-based arm of a major Chinese home builder investing in a condo and office tower proposed at South Station. Indeed, Gemdale, which sold 45,000 homes in China last year, plans to tap its network of buyers in Asia to help sell condos at South Station. But he, too, acknowledges that too many investor-owners can make for a building where it feels as if no one’s at home. Chen, the buyer of the Millennium Tower units, and his wife have bought other condos in Boston in bulk before. In 2013, a shell company linked to Chen and his wife, according to property and corporate records, spent $2.9 million to buy six units at a condo project in East Cambridge. Later that year, they paid $11.3 million for 12 condos at Millennium Place in Downtown Crossing. 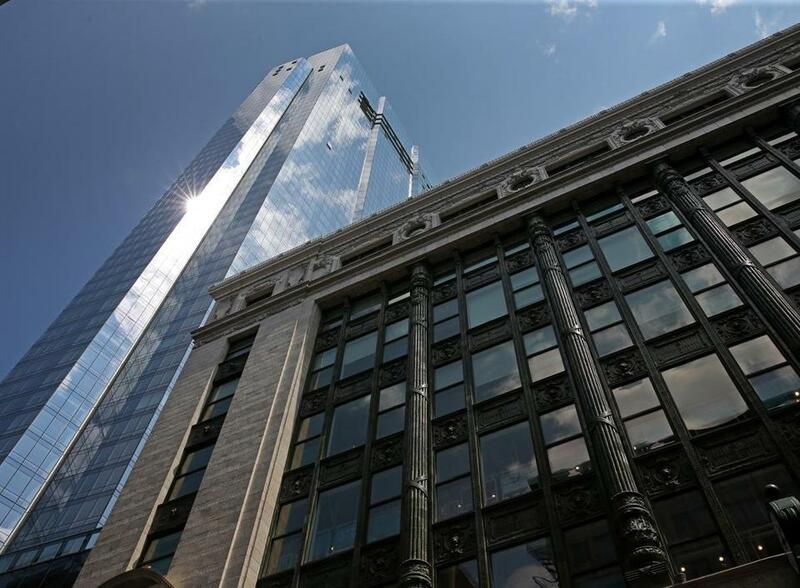 Combining that with three other condos scattered around town and their new units at Millennium Tower, the couple has spent at least $31.5 million in Boston over three years. Through a translator, Chen and his wife declined to comment, citing language barriers and a desire for privacy. But the Chens allowed Wang to discuss their purchases, which were made through two shell companies he manages. Wang said his client worked in commercial real estate in China and taps a network of investors and clients there to bundle money and buy condos here. He described Chen more as a portfolio manager than a real estate mogul. The Chens moved to Boston several years ago, Wang said, and live here with their small child on an EB-5 visa, which grants a green card in exchange for a $500,000 investment in a company that creates 10 jobs. Wang himself is based in New York and said 90 percent of his clients are Chinese, mostly investors. Many are aiming to move money to safer havens in the United States, and like to buy new condos as investment properties, for family studying here, or to eventually move here themselves. It’s a highly specialized line of work that the graduate of Boston College, who speaks three languages, tried out as a young agent in Boston, and now makes the bulk of his business. In a recent interview, Wang noted that Millennium Partners was tentatively selected by Boston officials to build another high-rise, at the site of a the city-owned Winthrop Square garage. He’s looking forward for sales to start.